We are pleased to announce that our two keynote speakers this year will be Dr. Richard Webby and Dr. Bobbi Pritt. 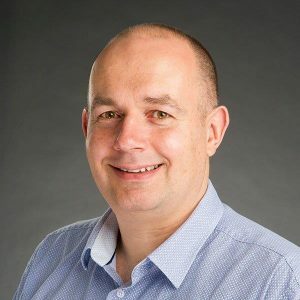 Richard Webby is a Member of the Department of Infectious Diseases at St Jude Children’s Research Hospital, Memphis TN and Director of the World Health Organization Collaborating Center for Studies on the Ecology of Influenza in Animals. He received his PhD from the University of Otago, New Zealand before making the move to Memphis. He has a basic research program that focuses on influenza viruses at the human-animal interface with a goal to understand pandemic emergence and risk. This work involves virologic and serologic surveillance activities in animal and human populations to determine the prevalence of influenza viruses present with further laboratory-based research to understand the mechanisms behind various viral phenotypes. Data collected through the above activities feeds into the WHO GISRS system for risk assessment of circulating influenza viruses and, where appropriate, subsequent pandemic preparedness activities. “Current Influenza Threats; What Might GPEID 3018 Be Remembering?” will be on Thursday, March 29th. The keynote address is open to the general public. 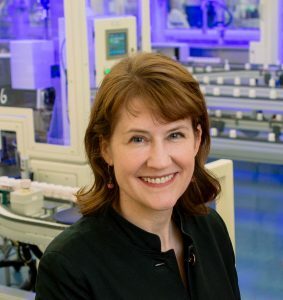 Bobbi Pritt, MD, MSc is a Professor of Laboratory Medicine and Pathology at the Mayo Clinic, in Rochester, MN, where she is the Director of the Clinical Parasitology laboratory and Co-Director of Vector-Borne Diseases laboratory services. She serves as the Vice Chair of Education for her department and the Program Director of the Mayo Clinic MD Microbiology fellowship. She is board certified in Anatomic and Clinical Pathology and Medical Microbiology, and holds a Master’s degree in Medical Parasitology from the London School of Hygiene and Tropical Medicine and a Diploma in Tropical Medicine and Hygiene from the Royal College of Physicians in London. Dr. Pritt’s major areas of academic interest are laboratory detection of infectious diseases, medical education, and infectious disease pathology. During the past 10 years, she has worked closely with colleagues at the CDC, state and public health laboratories, and state universities to describe and characterize two new tick-borne human pathogens found in the Midwestern United States. She continues to collaborate with the CDC and public health laboratories to proactively identify new tick-borne pathogens in the United States. “Ticks, Teamwork, and Emerging Pathogens,” will be on Friday, March 30th. The keynote address is open to the general public.